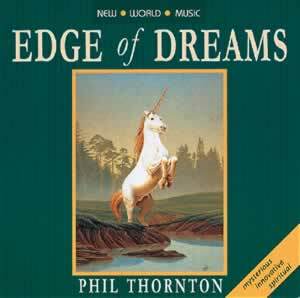 Edge of Dreams is more than a superb piece of music; it is a distant but deeply remembered part of yourself - a sound that is alive within you. Misty visions and floating memories are conjured up, only to give way to worlds of indescribable beauty. Bright melodies leisurely develop from gentle strings, soothing harps, a haunting oboe and a distant Chinese gong, majestically producing a most unforgettable dreamscape, where you are the artist and the planner of your dreams. This accomplished composition has great depth and memorable style. It must be one of the most compelling and magical recordings ever - a recording to enhance every moment of your life.